Are interested in licensing proven, cost-effective and turnkey retirement education resources being used by other public sector defined benefit and defined contribution systems… then you’ve come to the right place! Plan administration professional development in live classroom, live webinar, print, ebook, or elearning formats. Retirement counselor professional development in live classroom, print, ebook, or elearning formats. Ongoing professional development resources in live webinar, print, ebook, elearning or audio formats. Employee education in live classroom, print, ebook, elearning or audio formats. Need further help deciding which resource(s) best meet your needs? Give us a call at 847-756-7350 ext. 133 or email us to setup time to further explore your needs. The role of professionals in the design, administration and communication of employer-sponsored public sector retirement benefits has never been more challenging and important. At the same time, budgets are tightening and it is more difficult to find funding for training programs. InFRE’s public sector plan administration courses are designed and updated under the guidance of the current and past leadership of the National Association of Government Defined Contribution Administrators’ (NAGDCA) to help public sector defined contribution plans of any size build the expertise they need to meet the challenges of the new retirement environment. 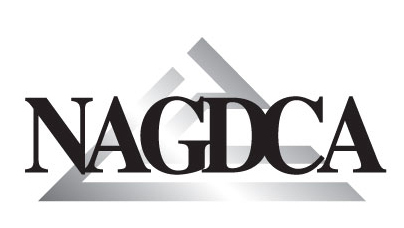 We are proud to be NAGDCA’s trusted partner for providing the most effective and credible retirement-specific professional development, certification and certificate training courses designed specifically for public sector defined contribution and defined benefit plans. The InFRE® Retirement Administrator Training Series is tailored for the public sector audience. It covers the fundamentals of evaluating, creating, implementing and maintaining retirement programs that can best meet your specific employee population’s needs. This course material reflects the Pension Protection Act of 2006, as well as the final regulations that have been issued pertaining to 401(k) and 457(b) plans, model 403(b) regulations, and 409A nonqualified plan rules. It is designed to expand and test your knowledge of all types of retirement programs within the public sector that includes both federal tax law compliance issues and best practices within the industry. This series includes the following four core courses, available in print, live classroom training, and elearning formats. Read more here, or call 847-756-7350 ext. 133 or email us for more information. The changes being made in public sector retirement plan design today require employers to enhance the education and counseling provided to employees to help them shoulder increased personal responsibility for their retirement future. In today’s retirement environment, public sector retirement counselors need to be knowledgeable about all types of retirement plans – including defined benefit, defined contribution, deferred compensation, Roth plans, and more – to better help employees be retirement ready. Based on original research and analysis by a team of over 70 retirement practitioners in both the public and private sectors and in partnership with Texas Tech University, one of the leading financial planning universities in the country, the CRC® is a one-of-a-kind certification designed to enable public sector retirement professionals like to you meet the increasingly complex decisions that need to be made by today’s government sector retirees amid benefits changes, uncertain future health care costs, and retirement risks such as longevity, inflation, and market risks. See more information about the CRC® curriculum here. InFRE’s Certified Retirement Counselor® (CRC®) professional certification program is now used by over 60 retirement systems and is fast becoming recognized as one of the most comprehensive and informative programs that meets the training needs of public sector retirement systems using primary or optional defined contribution plans, defined benefit plans, or hybrid plans. Retirement systems such as Colorado PERA, South Dakota Retirement System, PSRS of Missouri, Ohio STRS and other state, county and local entities use the CRC® to enhance the professional skills and ongoing knowledge of their retirement counselors. See certification requirements for more information. The Certified Retirement Counselor certification and related professional development programs are endorsed by the National Association of Government Defined Contribution Administrators (NAGDCA) and the National Pension Education Association (NPEA). Live classroom versions of the CRC®’s professional development self study materials are the perfect answer for systems with many individuals in need of training versus certification. We also have print and elearning formats with online course tests to help you reach retirement counselors, administrators, and trustees more cost effectively. We can also provide you with a complete slide library for use with groups preparing together to take the exam. Call 847-756-7350 ext. 133 or email us for more information. High-quality, retirement-specific continuing education courses are available through the Int’l Retirement Retirement Resource Center. Courses are delivered LIVE to your desktop on a monthly or more often basis and provide up-to-date educational resources from leading retirement industry leaders. You’ll experience conference-quality presentations at a fraction of the cost while fulfilling CRC® and CFP® CE requirements. The Professional Development Program is tailored especially for CRC®s, CFP®s, retirement administrators, trustees, and call center professionals. Courses range from intermediate to advanced difficulty. Employees also need to know that there is much more to retirement planning than the accumulation phase. To help you better provide informed decision-making options to employees, InFRE offers several courses for employees and retirement counselors available for licensing and delivery by your own instructors. Click here for more information on live and elearning versions of retirement courses designed for early, mid and late career employees, as well as train the trainer resources. Public Sector Employers – Why the CRC®? Read what CRCs® say about the training! Find out in their own words how becoming a CRC® increases retirement professionals’ credibility to address the retirement planning needs of their clients and plan participants.